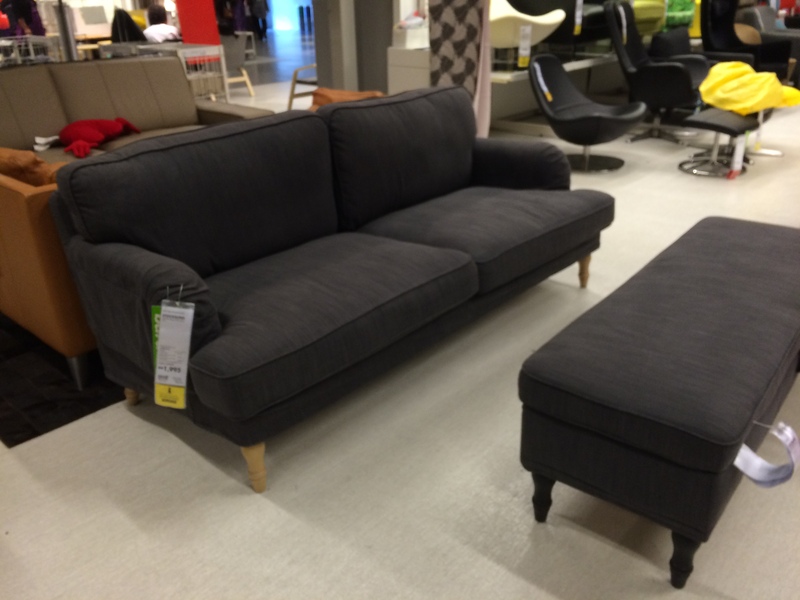 IKEA Stocksund Sofa Series (2014) Review - New at IKEA! 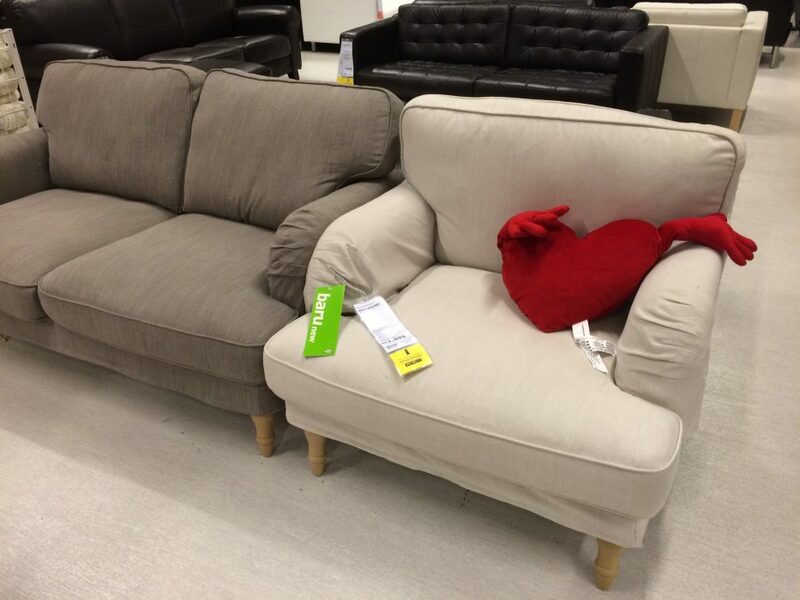 IKEA Stocksund Sofa Series (2014) Review – New at IKEA! Just a few weeks ago, a few of us popped by IKEA again to get some furniture for the office. We figured that we also might as well take a look at the new Stocksund series and try them out, even though it isn’t something we’d consider as timeless as the Klippan, nor as classic as the Ektorp – but it did change our opinion a little after giving it a test run. The first thing that came into my mind when I saw the Stocksund was that it was very “English”. The IKEA Stocksund has short english roll arms and spindle legs, and as my eyes looked over the dark grey 3-seater and the bench with the black legs – it felt like the only thing missing from this was a cup of tea and some scones, I really liked it! The loveseat, 3-seater, armchair and the bench were all available in the display showroom. We hopped around the furniture like we were playing musical chairs, getting a good feel of the entire range from armchair to 2 seater and to the 3 seater – all of us unanimously agreed that it was indeed comfy. It has wide and deep seating, good paddings that you don’t sink in when you sit in between the seats. With the short English roll armrest, you can still fit about 2/3 of your arms on it. What’s interesting is that the set actually comes with has an additional set of armrest protectors, not something we commonly see on the other IKEA models so this was a pleasant surprise. The Stocksund is available in Nolhaga fabric (75% cotton, 25% polyester) which comes in 3 colours – Dark Grey, Light Beige & Grey. You can also choose the legs to either in birch wood or black colour. Initially, I really liked the dark grey and the black legs because it looks really classy but that was before I discovered that they had another range of fabric and colour, which was the Ljungen/Vellinge fabric (100% polyester) which comes in 2 colours – Light Brown and Light Red, which we didn’t manage to see in person unfortunately. 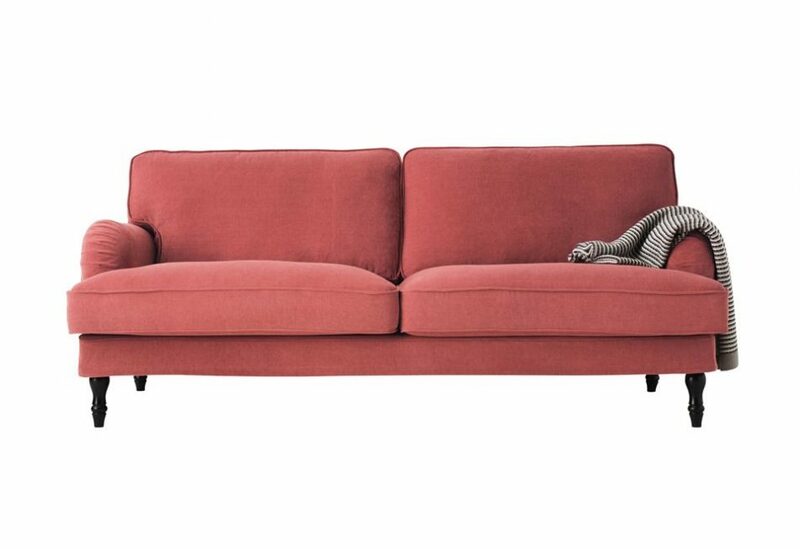 The Stocksund in Ljungen/Vellinge Light Red has officially made it to my favourite list. It wasn’t too bright and showy and it looks so good with black legs! 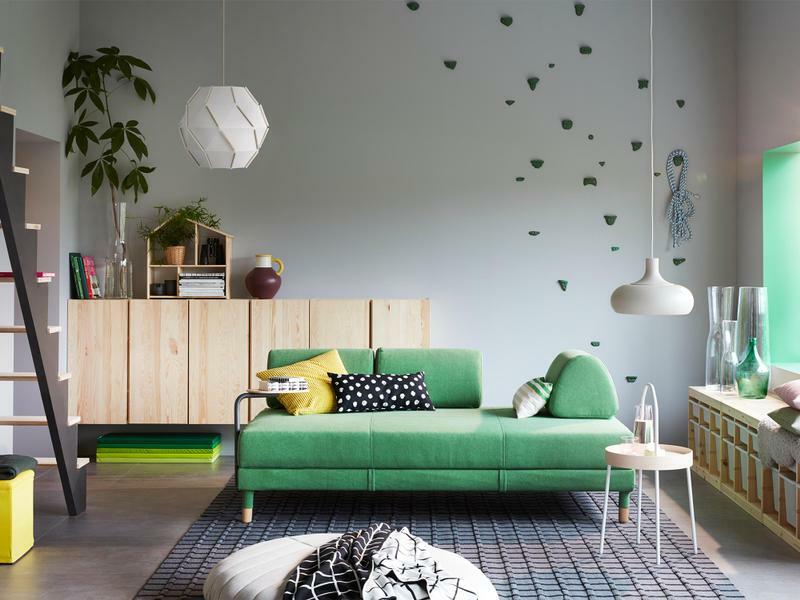 The 3-seater sofa costs AUD 789 for them in Nolhaga fabrics, and AUD 899 for them in Ljungen/Vellinge fabrics. You’ll need to pay a lil’ bit more to get them in Ljungen/Vellinge fabrics, but it’s definitely a beauty. Then again, it maybe because I’m just biased hah! PS: We also stuffed ourselves silly with IKEA food (meatballs!) right after all that hard work testing out sofas. 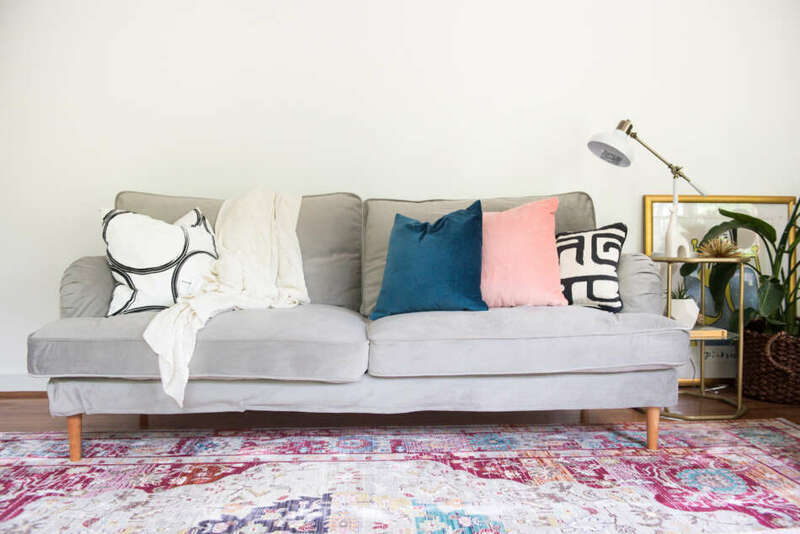 UPDATE: Looking for Stocksund sofa covers? Comfort Works now have them here: https://comfort-works.com/en/stocksund-sofa-covers-177! 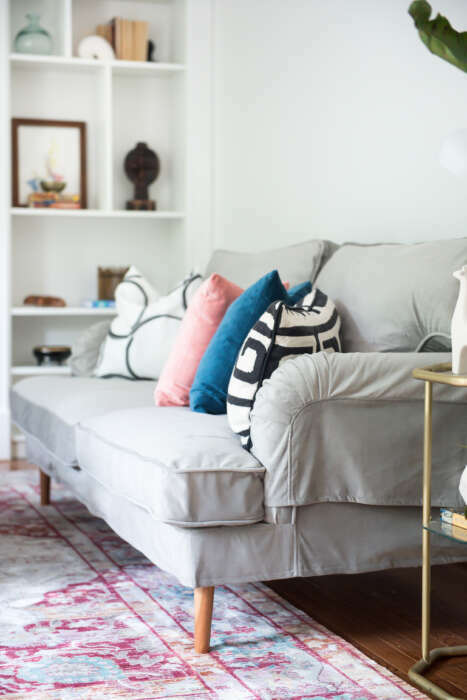 Here’s a couple of pictures from our recent collaboration with Aniko from Place of My Taste featuring soft grey velvet slipcovers for her Stocksund 3 Seater Sofa plus replacement sofa legs. If you’ve found this review helpful and want to find out more about other IKEA sofa models, click the button below for the best IKEA sofa reviews! 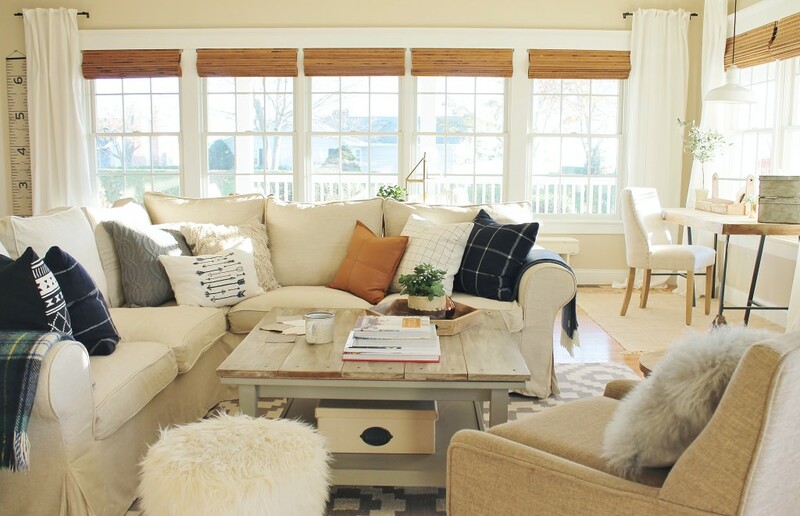 Visit Comfort Works Slipcovers’s profile on Pinterest. I noticed the 3-seater still has two cushions. How comfortable is it for the middle person to sit in the middle? It isn’t always the most comfortable, but if the middle person isn’t fussy it’s usually quite tolerable. Is this sofa sturdy? I feel like it would have a short life span because of the type of legs. Does anyone know if I buy this at the store, will it come in flat boxes unassembled? I’d actually prefer this, because I have a van, but not one that will fit an assembled sofa – and I’m trying to avoid paying for shipping. Thanks! Is the bottom cushion of the chair removable/flippable? Unfortunately no, the seat cushions all come with some anti-slip lining that makes it one-sided. If you’re getting slipcovers from us made, we can customise it for you to make it reversible however. Thank you for all your comments. 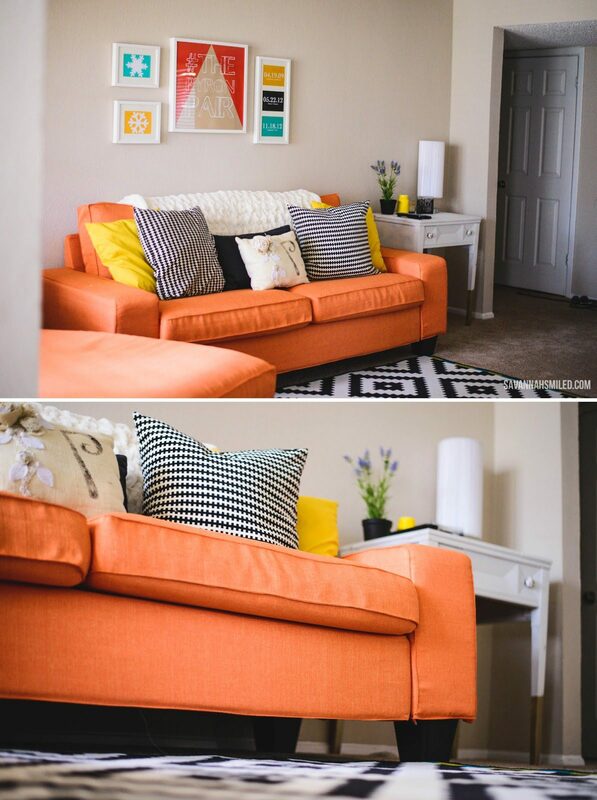 I’ve been looking at the love seat for over a year and liked the informal comfy look. I’m torn between the red and beige. Think I’ll finally put my order in. We’re looking at purchasing a 3 seater for our next lounge. Can anyone comment on how well it’s held up with young children? Joli et extrêmement confortable …Je crois que je vais me laisser tenter ! i don’t agree with the person who said this was uncomfortable. I’ve been looking for a comfortable sofa or love seat. I found it to be extremely comfortable. 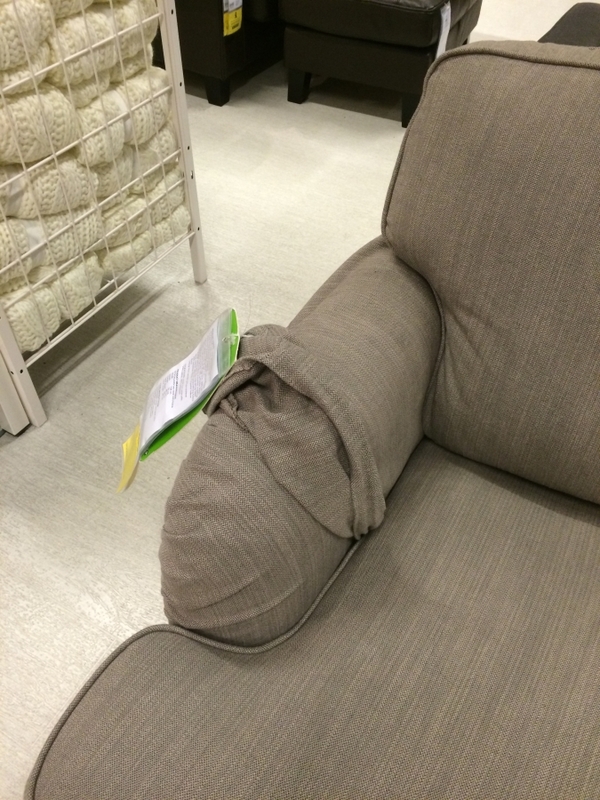 I tried sitting in all the sofas in the store and thought this one was the best for comfort. Nice and soft and cushy. i too thought it was pretty comfy yea, but hey, maybe it just didn’t work out for olivier. The Stocksund looks good. I must disagree with your comfort rating. 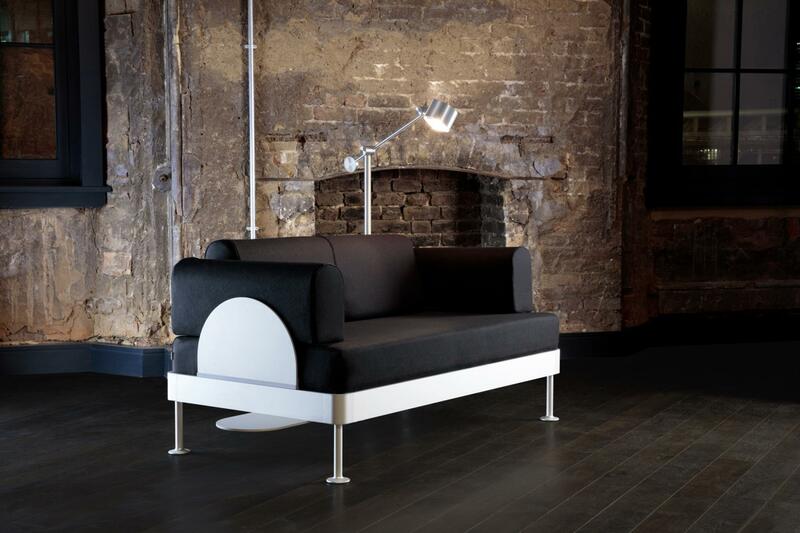 The sofa is very deep and the back rest is too soft, making it even deeper than other model of the ”same depth”. Add to that the sitting height and the very low backrest. The result : you get an arched back causing pain and you cannot rest your head/neck, which means more discomfort and eventual injuries. This is the least comfortable sofa at ikea. There is no way to tweak the dept by adding very larges cushions : it does not look good at all. This is a beautiful product but in no way should somebody buy it. if you are short you get both discomforts and if you are tall prepare your neck for some major aching. Tired of being the second to know about our updates? Be the first to know!